The Basilica of San Petronio is one of the most important churches in Bologna, the largest city (and the capital) of the northern Italian administrative region of Emilia-Romagna. The basilica is often mistaken for the city’s cathedral, due to its central position on the Piazza Maggiore, and enormous dimensions. Additionally, this basilica is the 15th largest church in the world, though it was originally planned to be the world’s largest. The construction of the Basilica of San Petronio commenced during the final decade of the 14th century, though its current form was attained around the middle of the 17th century. This basilica is dedicated to St. Petronius, who “takes precedence over St. Francis” in Bologna. By the way, the feast days of St. Petronius and St. Francis of Assisi (one of the patron saints of Italy) are on the same day, i.e. October 4th. During the time of the basilica’s construction, Bologna was an independent city state. This means that the city was ruled by its own citizens, rather than by a noble family, the Papacy, or even by a foreign power. Therefore, the basilica might have been constructed in order to symbolize the freedom that the people of Bologna enjoyed at that time. In 1388, the Commune of Bologna passed a resolution to build the basilica, and in 1390, the first stone of the basilica was laid. 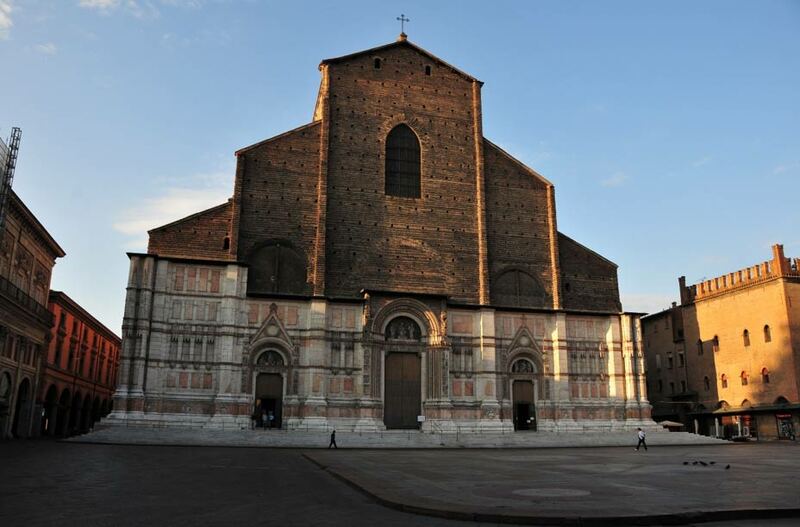 As its name suggests, the basilica is dedicated to St. Petronius, the patron saint of Bologna. This saint is said to have been of Roman origins, and served as the Bishop of Bologna. Whilst his date of birth is unknown, he died before 450 AD. Little historical information is known about St. Petronius, though there are numerous legends surrounding this holy man. In one of these, for instance, the saint is said to have built a church in Bologna that replicated the Church of the Holy Sepulchre in Jerusalem. According to the tale, this was done in order to attract Christian pilgrims to Bologna. Apart from allowing the pilgrims from avoiding the longer, more expensive, and more dangerous trip from Europe to the Holy Land, the church also helped fill the city’s coffers. Amongst other things, the money obtained from the pilgrims was used for the city’s urban-planning needs, and the needs of the city’s poorest. On St. Petronius’ feast day in 1392, the first mass was held in the basilica that was being built. Up till this point of time, the building work was progressing steadily. This pace continued until 1402, when its architect, Antonio Vincenzi, died. After this, the construction of the basilica slowed down due to a number of problems, including those of technical, economic, political, and spiritual natures. Nevertheless, the work went on. The plan to make the Basilica of San Petronio the largest church in the world seems to have been maintained despite the slackening pace of the building work. 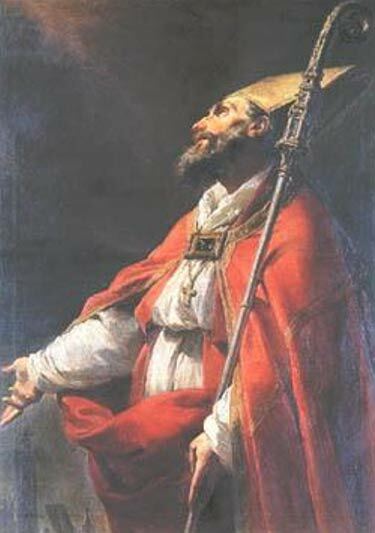 According to one story, Pope Pius IV, who reigned during the 16th century, was alarmed by what the Bolognese were doing (as it would overshadow St. Peter’s Basilica in Rome), and decided to halt their ambitions. In 1562, the pope ordered the construction of a university building adjacent to the basilica, effectively preventing any future construction of the basilica to be carried out in that area. It was about a century later, between 1647 and 1659, that the basilica attained its present form. One of the features of the basilica that was constructed during this time was its meridian line. This device allowed the Sun’s position and the variations in its motion to be observed over the year. In the Basilica of San Petronio, a meridian line was already constructed in the 1570s, when the Dominican Egnazio Danti was called to teach Mathematics and Astronomy in Bologna. In the 1650s, plans were made to expand the basilica, and Danti’s astronomical device was destined to be destroyed. In 1655, the project for a new meridian line was entrusted to Gian Domenico Cassini of Genoa. Instead of going through with the proposals to build a shorter meridian, Cassini opted to build a longer one, which would allow more accurate observations to be made. Whilst the 17th century gave the Basilica of San Petronio its current form, it did not actually complete its construction. In fact, the basilica is still unfinished. The most obvious sign of the basilica’s incompleteness can be seen in its façade. The marble facing of the basilica’s façade was started in 1538 by Giacomo Ranuzzi. Although the bottom part of the façade was completed, its top part is still bare, indicating that the job has been left unfinished for the last few centuries.